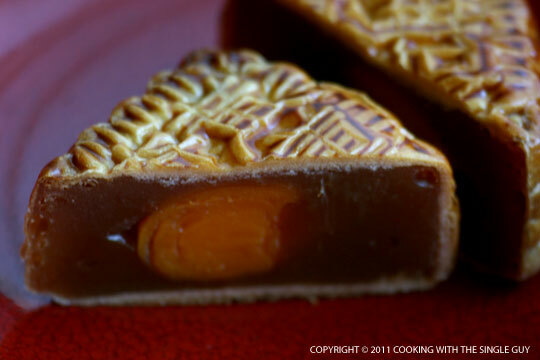 Happy moon cake day to you! We did enjoy some of our homemade mooncakes - both the traditional baked ones and the Teochew ones (thanks for the link back!) They were great; not to sweet because we used low-sugar paste. Mid-Autumn Festival is really my holiday. 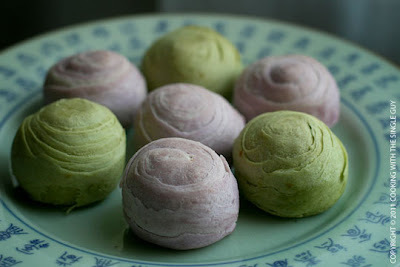 Super love to eat moon cake. Thanks for the reminder, Ben. I almost forgot about the mooncake festival! OMG I totally didn't know today was Moon Festival! I LOVE Moon Cakes especially the ones with the Salty Egg in the middle! 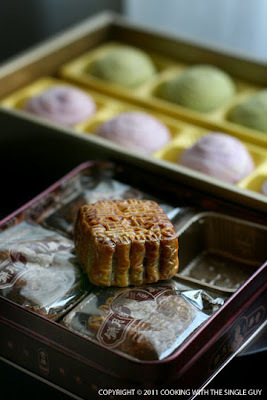 I am truly amazed by the variety of shapes, sizes, flavours and colours of mooncakes these days! These sure give the traditional ones a run for its money! ooh I've always loved the name mooncake! those Teochow ones are gorgeous, I probably would like them because I find regular mooncakes to be not sweet enough! I grew up eating Japanese anpan filled with the sweet red bean filling... you're making me crave bad things ben!